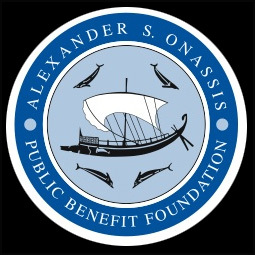 In 2005 a generous donation by The Onassis Public Benefit Foundation made possible the creation of The Onassis Programme for the Performance of Greek Drama at the University of Oxford until the end of the project in 2011. The programme commissioned, developed and produced professional work by international theatre artists inspired by classical Greek drama, and aimed to bring the best of such work from around the world to Oxford and the UK. Artists and companies The Onassis Programme has worked with include Derek Walcott, Manning Camerata, Dominique le Gendre, Timberlake Wertenbaker, Temple Theatre, Clare Higgins, Colin Teevan, The Farber Foundry, Lydia Koniordou, Struan Leslie, Seamus Heaney, Nottingham Playhouse, Stephen Sharkey, Alex Silverman, The Clod Ensemble, The Lyric Hammersmith, The Oxford Playhouse, Hannah Rosenfelder, Kneehigh's Emma Rice, among others.